Stance has done big things in 2015. They’re now the official sock of the NBA and quality is better than ever. 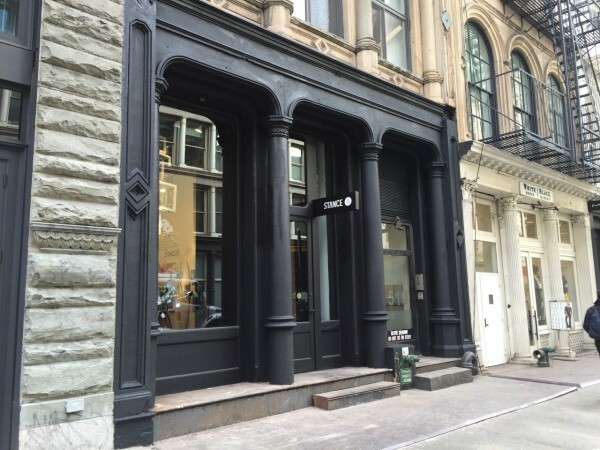 Finally, to end 2015 and ring in 2016, Stance has opened a flagship store right in the heart of SoHo. Located at 510 Broadway in a 100 year old building, the 2,000 square foot store is hip and fresh. It was the former location of Forecast Footwear. 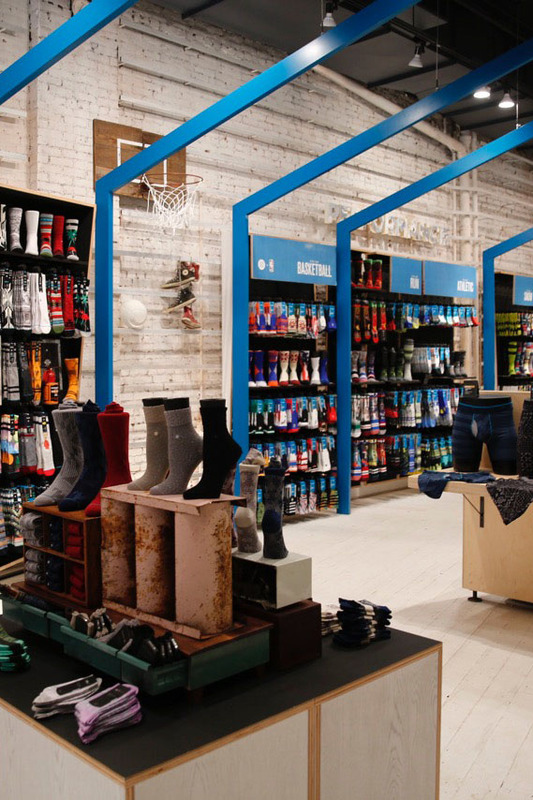 Shoppers are greeted with a floor-to-ceiling wall featuring portraits of Stance’s Punks & Poets. “When first scouting locations for our flagship store in New York, we wanted to find a building with character in a neighborhood that combined art, fashion and street culture, while paying homage to the local heritage,” said Dan Levine, EVP Brand Development and Retail at Stance Socks. The store flaunts a glass panel in the floor that encourages shoppers to look down and watch sock artisans make custom socks through Stance’s customization service, Stance Canvas. Customers can also design their own custom pair in the store by using an Apple iPad Pro — very similar to operations Nike had in the past. Stance socks are made by Stance’s proprietary machine that utilizes a 360-degree process with dye instead of ink. This allows customers far more customization options than other brands offer. The store is now open so if you head in there, let us know what it’s like! Embracing “The Uncommon Thread” as its mantra, Stance turned socks into one of the world’s most exciting categories in less than five years. Stance’s founders saw a category that had been ignored, taken for granted, and dismissed. By breathing life into something that had been overlooked, Stance ignited a movement of art and self-expression that has drawn athletes, performers and iconic cultural influencers to the brand – a group they call the Punks & Poets. And by underpinning its creative roots with a relentless focus on technical innovation, Stance is now found in over 40 countries on the feet of those who dare to be different. Stance was named the official sock of the NBA starting in the 2015-2016 season, and will be launching its first underwear line later this year. Great, now there’s a home for some really overpriced cotton socks. I can’t wait!! !